An above ground garden – Ideal for people who rent or want to avoid disturbing the ground. 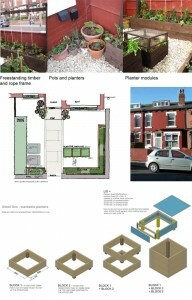 Designed by Rachel Forbes, undergraduate Landscape Architect and Design Leeds. 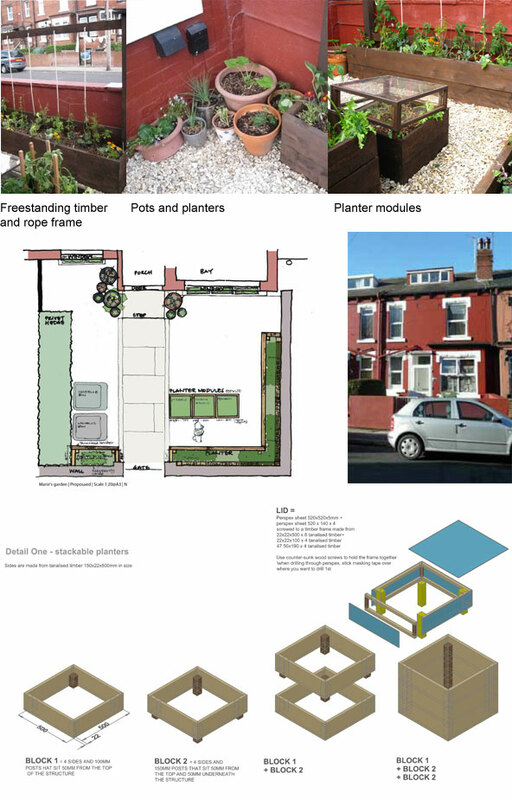 With funding from the local area partnership, Leeds Metropolitan University and Groundwork have built three productive front gardens in Harehills and Chapeltown to show just what can be achieved in front gardens. Three types of gardens have been built.